Samsung has been very impressive when it comes to its Note series phablets and tablets. 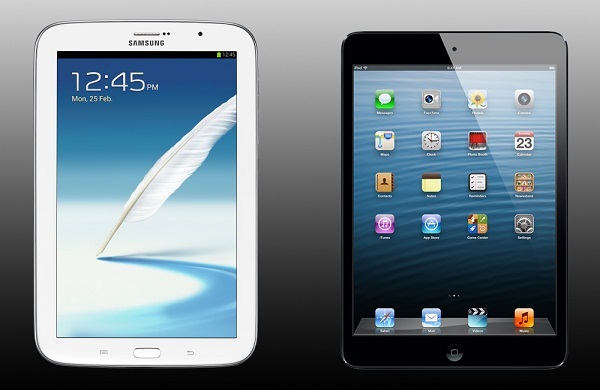 Note, Note 2, Note 10.1 all were superb and impressed all of their users but now Samsung has came up with something new. 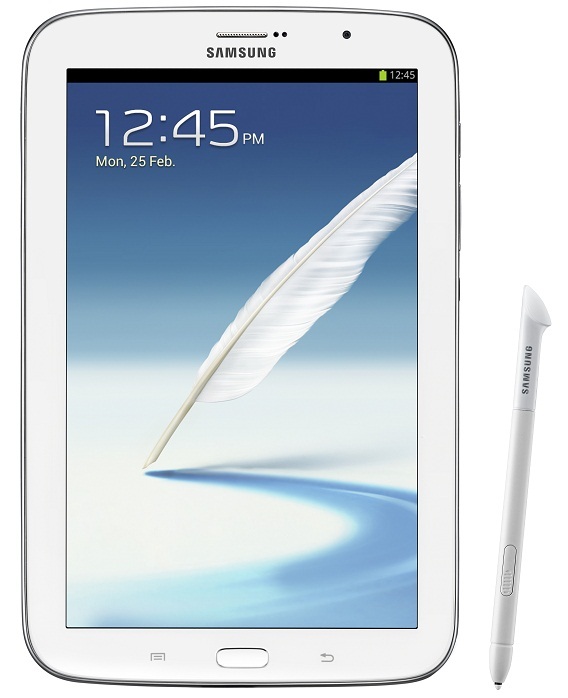 A new gadget that has got 8 inch display that means a new tablet known as Galaxy Note 8.0. I went on with hands on over the device in the Samsung Cafe and found the following things that I’m summarizing here in the Galaxy Note 8.0 review. Well when it comes to design Samsung keeps following the traditional design. Personally I don’t like it as I don’t want to buy a device that looks exactly identical to plenty of devices. Samsung has just stretched the design to resize to have 8 inch display, that’s it! The device looks great if you like the Samsung’s traditional design but if looking for some unique stuff, then don’t look at it. The quad core processor with 1.6GHz clock speed is really impressive and provides the device required processing stars. The processor is added with Mali 400MP GPU to meet the graphics requirements. I tried using the default apps on the device and everything was flowing very smooth. Galaxy Note 8.0 has got TFT panel and display measuring 8 inch with resolution of 800×1280 pixels. The pixel density is not very impressive but still the stuff looks good as you’re looking on a full HD resolution display. The display supports S pen stylus to let you draw whatever you feel like and take out your creativity. You can also write in your own handwriting. The device is little bit wider than the iPad mini and it measures about 210 mm in length, 135.9 mm in width and just 8 mm thick. It weighs about 338 grams. I must appreciate Samsung in this section as they have prepared a slimmer and lighter device. The rear camera has got 5MP sensor which is capable of recording HD quality videos and has face detection, image stabilization and touch focus features. There is one 1.3MP camera sensor as well at front for your video calling and chatting requirements. Now, another disappointing element for me as it operates on Jelly Bean 4.1.2 but I was wondering to have my hands-on Jelly Bean 4.2. But still the Jelly Bean 4.1.2 gives impressive apps flow, good graphics and nice battery life. The device will be available supporting LTE and all previous cellular network standards. It has the dual band Wi-Fi, Bluetooth (4.0) and one infrared port. It has the standard microUSB port with one TV out port as well. So the tablet is packed up with all your data connectivity needs. This tablet is really good at storage. It is preloaded with 2GB of RAM which is not for you but for the CPU and it has got 16GB or 32GB internal storage for you. You can also add microSD card of maximum 64GB size if you want to further expand the storage. Samsung has packed the Note 8.0 with a non removable battery having 4600 mAh ratings that is capable of providing at least 8 hours of battery life which is impressive. I’ll recommend you to look for the Jelly Bean 4.2 update as it will increase the battery life further. Samsung will keep a price tag of at least $449 over the device. To check the actual price in your city, check in nearest Samsung Smart Café. Nice post and Thanks for sharing this specification of Samsung galaxy note 8 with us. This galaxy note really seems interesting and I am thinking of buying it. samsung is the best ……………………….